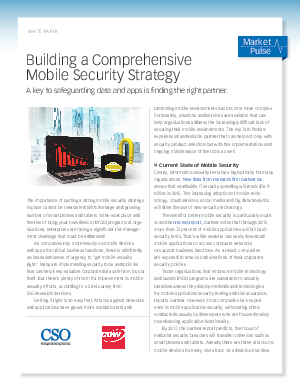 The importance of putting a strong mobile security strategy in place cannot be overstated. With the large and growing number of smartphones and tablets in the workplace and the rise of bring-your-own-device (BYOD) programs at organizations, enterprises are facing a significant risk management challenge that must be addressed. As companies rely more heavily on mobile devices and apps for critical business functions, there is admittedly an increased sense of urgency to “get mobile security right.” Many are implementing security tools and policies that can help keep valuable corporate data safe from loss or theft. But there’s plenty of room for improvement in mobile security efforts, according to a 2014 survey from IDG Research Services.